Our members have built up the expertise to help the community to piloting various models of drone products. Most have started with the Phantom 2 or 3 then moved on the DJI f550 and Matrice 100. This project came together to combine top notch drone users, businesses and local retailers willing to help our new members get started learning to fly. 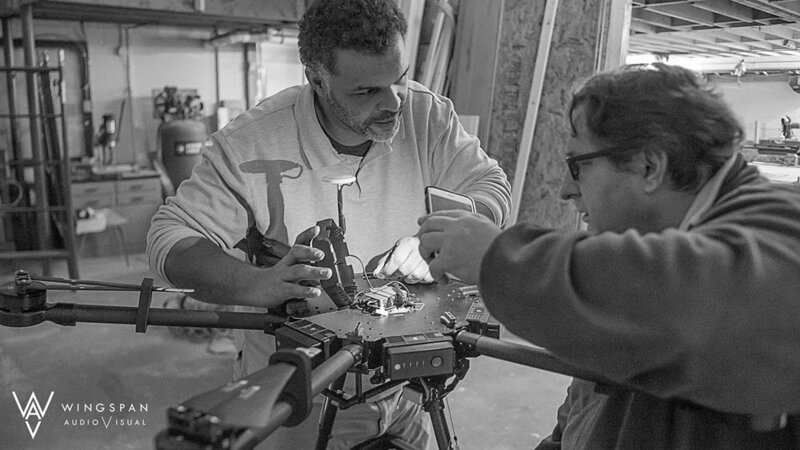 The goal of the project is to provide our new drone owner members with the knowledge, skill, and connections required to best enjoy their investment. Regardless if that ends up being the same model a current member has enjoyed or something different users at least go away informed. The FlySky FS-SM600 6CH USB Controller makes it super simple to hook up a lifelike radio controller to your favorite RC Simulator. Plus the SuperSimX simulator software is included. Hey guys! In this video I'm running over the basic setup of the Fr Sky Taranis for the Liftoff Simulator. Hey guys! In this video I'm walking you through one of my Freestyle Practice Routines which will help with your general skill and stick control. Hey guys, thanks for checking out my first video in the Precision Practice Series. Starting off practicing with a toy drone is next step to getting started. You should feel comfortable controlling it confidently in small areas. The nano-scale Q4 Nano H111 Quadcopter from Hubsan is ready-to-fly, requiring only two AAA batteries for the transmitter (radio controller) to get started. If you have no previous FPV Experience, then this video is the perfect start to understand this hobby better. In this video, Jack will be giving you a general overview on FPV Flying. This video is the first in a series dedicated to aspiring FPV Pilots that are new to the hobby. The micro brushless is a small yet fast FPV drone that will provide good performance over time. Prefer a model using a receiver you might upgrade to in the future. When you start crashing and breaking things (not if... when) you are going to need parts. Extra motors and frames are good to keep handy.